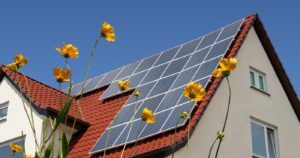 Velocity Solar offers a variety of residential solar panel system options so that every home on the block can afford to go solar. From financing plans to rebates and incentives, find the option that’s right for you and add a clean home solar system to your home. Florida is of course known as the Sunshine State. That means your solar panels will keep generating energy for you throughout the year. Velocity uses panels that meet the highest industry standards and can withstand the intense heat, of a Florida summer. 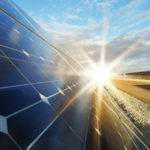 Harnessing the sun’s energy to generate free, clean electricity is just common sense for Florida home-owners. At Velocity Solar, our customers have grown to expect the best from our service. Which is why we use top-of-the-line solar equipment from leading manufacturers. Our experts will meet with you to determine your energy needs—and the right solar panels to meet them. Just as important, Velocity is licensed, bonded and insured. Break away from the escalating energy costs from your local utility and start to create your own energy independence with clean, efficient solar energy products for your home. We use cutting edge technology including the most efficient, steam lined solar energy products along with innovative mounting brackets that will reduce roof penetrations to create an energy independent residence with clean ascetics. 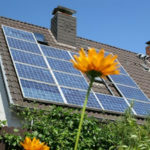 Velocity Solar offers one-stop service for residential solar panel design and installation. We’ll oversee your entire project, from the design process to installation to even submitting your permits and rebates. Our Residential Solar Panel experts will meet with you one-on-one to custom design a clean energy solution based on your needs. Structural engineers will complete appropriate analyses, and then our professionals will obtain the necessary building permits to begin work. A licensed roofing contractor will inspect your roof and install the stanchions.